Most people are on the lookout for an income plan which will provide them a systematic monthly income during their retirement days. Annuity Investments are considered ideal in this regard mainly due to the fact that along with providing periodic income payouts for a definite period or in some cases, lifetime of the person, such investments also offer a sort of insurance cover to the individual concerned. What makes it surprising is that many people are largely unaware of the benefits offered by Annuity Investments. Annuity Investments are extremely beneficial to the investor for two main reasons. In the first place, these investments provide a definite and guaranteed monthly income. Secondly, it helps the investor in saving money over a long term. It can also be seen that Annuity Investments are used by investors for other secondary causes such as taking care of the costs involved in a dependant’s education and with the rising costs of a good education, saving for educational expenses is critical. Annuity Investments have some attractive features which make them stand apart from other types of investments. For example, these investments are not restricted by any contribution or income limits and the earnings through them are tax exempt. Another advantageous fact in relation to Annuity Investments is that if the investor outlives the period specified in the insurance contract, he/she is not liable for a premium. If you are planning to invest in Annuities, it is really important that you understand more about this safe and stable type of investment. Basically, Annuity Investments are of three types – Fixed Annuity, Variable Annuity, and Indexed Annuity. Annuity calculators are determine the level of investment required. Fixed Annuities are those in which the interest rate accorded to the investor is on a fixed and guaranteed basis as per the initial contract. Even if the interest rate changes over time, it does so only as per the guidelines specified in the contract. These investments are extremely safe and low-risk and the investor can be assured of definite returns. Variable Annuities on the other hand are based on the performance of mutual funds on which it is dependent upon and hence offers no guarantee as far as returns are concerned. The contributions of the investor are invested in specified mutual funds as per their choice, the returns of which are used to pay out the investor periodically. Indexed Annuities are the latest in such investments and are closely related to the financial index. 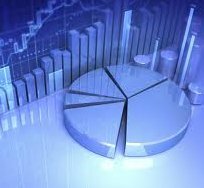 Investors can select and closely monitor the functioning of the related financial index upon which their annuity is dependent. These type of investments come with a minimum annual interest so that even if the stocks crash, the investors are protected to a certain extent. Annuity Investments are most certainly beneficial to the investor especially with regard to long term investments so that during their working years the money keeps growing in a totally tax free environment and after retirement, the investor can avail of the benefit of periodic and definite income which can sustain his lifestyle and various other financial requirements to a great extent.